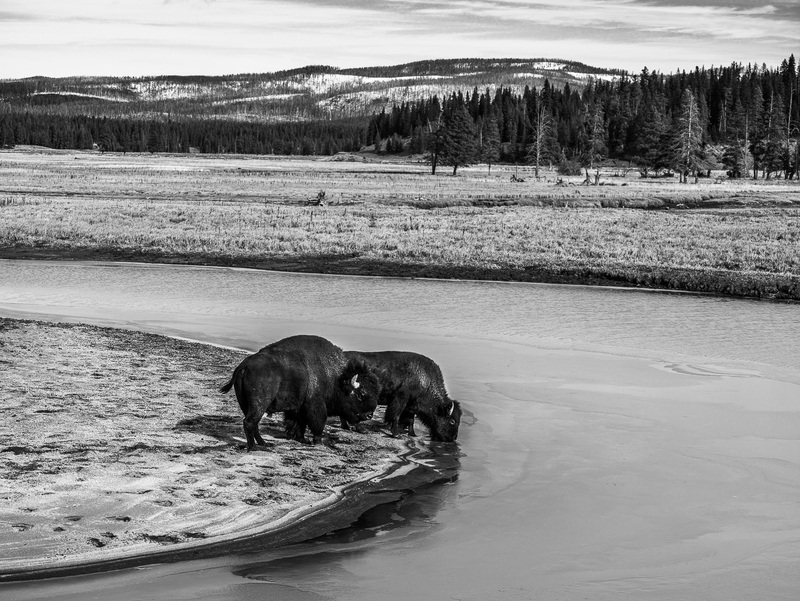 Pair of Bison drink the icy waters of Pelican Creek in Yellowstone National Park. The only place in the United States where bison have lived continuously since prehistoric times. Photo © copyright by Lance B. Carter.